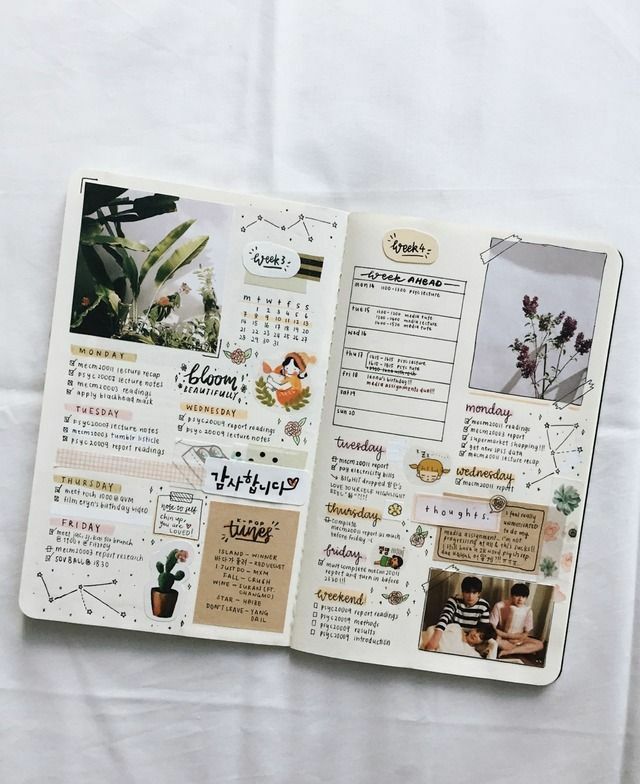 The Scrapbooker uses his or her bullet journal to document the past as well as plan for the future. This person’s bullet journal could also be described as a bit of an art journal. 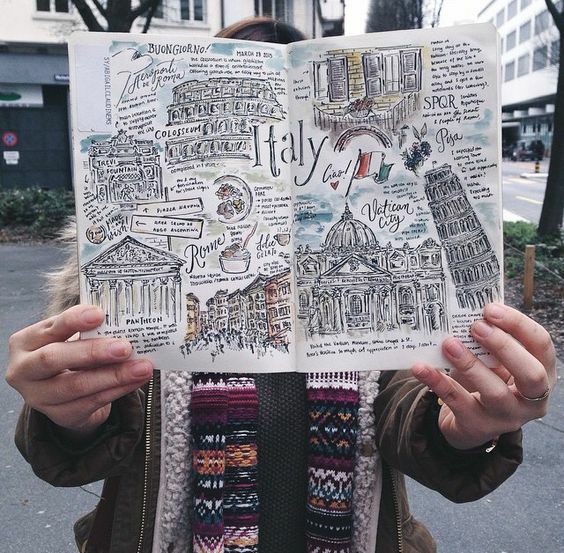 You’ll often see a lot of travelers turn their bullet journals into a scrapbook as a way to document the places they visit. Will use stickers, sticky notes, stamps, stencils, different kinds of paper, printables. Sometimes, straight-up paint! The sky is the limit! 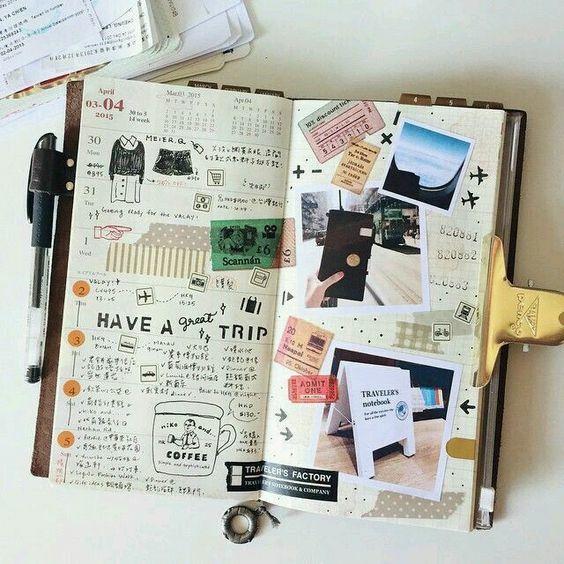 Scrapbookers’ bullet journals will become something beautiful to look back at, share with their children. Many other bullet journalers might keep their journals, but the volumes will often gather dust. Often does a better job of the “journaling” part of bullet journaling, than perhaps of the “bullet." Often writes down more details of each memory, rather than a brief caption, as is a practice in scrapbooking and in normal bullet journaling. Does a great job of journaling in the moment, rather than years after the events themselves, like normal scrapbookers often do. As mentioned above, an emphasis on journaling and not on bullets means that the spirit of “rapid logging” is lost—the inventor Ryder Carroll’s philosophy that, the less you write, the more consistently you’ll do it. Fear of the blank page—if you’ve set a standard for yourself that each page has to be a work of art, this can be daunting (this is something that many of the personalities have in common). It’s hard to bring along a lot of supplies while traveling. Instagram and Pinterest can lead to a desire to re-invent the wheel and try something different with each and every spread. Don't get tired of your bullet journal on week three! Avoid burnout! Stick with it, even if it means getting into a routine and only trying something new every once in awhile. Give yourself freedom to have some plainer spreads, so that you can work on those “masterpiece” spreads over several days. I loved this giant cache of washi tape for cheap on Amazon! Be careful, the washi tape addiction is real. Follow art journal accounts on Instagram and Pinterest, not just bullet journaling! You might broaden your horizons more that way. Consider a printer that supports AirPrinting (or printing from your smartphone), so that you can quickly print pictures from the day for your bullet journaling. Check out the section of my Pinterest board on bullet journaling that’s dedicated to The Scrapbooker! Double-sided tape is your friend. Make your own stickers with card stock, a rectangular die-cut punch, and double-sided tape. I highly recommend looking into travelers’ notebooks! @yemseul is an Instagram account that has made me wish I were a Scrapbooker. Some stencils can be a nice budget-friendly way to add text to a page without having to use up limited sticker resources. Or, instead of stencils, try learning hand lettering! A great (and free) place to start is my printable eBook and workbook, Simple Script. Are you a Scrapbooker? Do you see any of these strengths and weaknesses in yourself, and are you going to try any of these tips? Tell me below in the comments!